Multi-court markings allow a range of sports teams to use the same outdoor space. 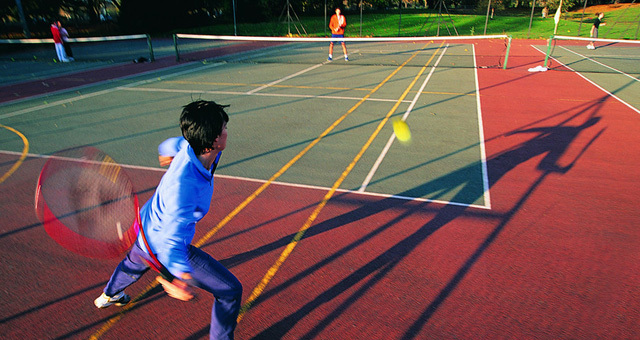 By using different colours for each court, your one space can host tennis, basketball, netball, football, volleyball and more without needing a separate court for each. To get this for your school or sports centre, simply give us a ring and our team will take care of everything. We’re operational 24 hours a day, 7 days a week, so you’ll never have to put up with machinery during work hours. It’s more than just markings though. Every court needs to be measured exactly, or they’ll be unusable for matches, meaning you could lose out on potential business. With us, however, you can always be sure that each court will be the right size and coloured to make them easily distinguishable.